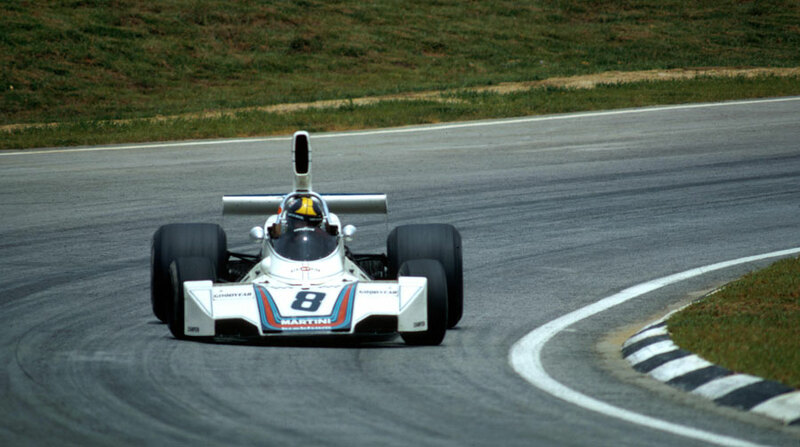 Carlos Pace, of Brazil, achieved his first Formula One victory in the Brazilian Grand Prix at Interlagos in front of 80,000 hugely partisan supporters. Their delight was heightened as Emerson Fittipaldi, also of Brazil, was second. It was Fittipaldi who stole the headlines with a breathtaking drive to carve his way through the field from sixth, finishing seconds behind Pace. On the eve of the race Ronnie Peterson announced he had received a better offer to drive for the UOP Shadow team and so had ditched Lotus; it ended a fortnight of rumours which had started in Argentina, although in the event he remained with Lotus! Jean-Pierre Jarier took a second consecutive pole position for Shadow and for much of the race seemed a surefire winner. He had built a 30-second lead before before his car started to misfire and he finally succumbed to fuel-pump failure on the 32nd of 40 laps. James Hunt, who had taken the plaudits in Argentina with his second place, made a shocking start - "I completely muffed it," he admitted - but underlined his potential by carving his way through the field to finish sixth despite handling issues. Mass bagged third after he took advantage of a handling problem for Regazzoni. The weather on race day was scorching hot, so much so that the fire brigade turned their hoses on the crowds in the open stands to try to keep them cool.